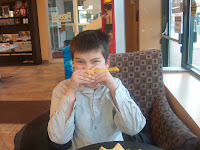 I am writing to you as the father of a severely autistic 11 year old boy living in Fredericton, New Brunswick and as an autism advocate for the past 8 years here in New Brunswick. Recently I was disappointed, bitterly disappointed, by two actions by your very tightly controlled government – the rejection of MP Shawn Murphy’s motion to amend the Canada Health Act to ensure autistic children, wherever they reside in Canada, would receive government funded treatment for their autism. Canada as a nation has long ago rejected the notion that accidents of geography should determine whether Canadians receive life sustaining or life enhancing medical treatment. The arguments about constitutional jurisdiction advanced in justification are specious and you sir, with all due respect, know that. Canada has long operated on the basis of a model of cooperative federalism which has developed many legislative tools to ensure that narrow constitutional boundaries do not impair the quality of life in this great country. I will mention no specific examples because there are far too many for this to be a serious issue of contention. Autism is a serious neurological disorder borne by 1 in 150 Canadians by currently accepted estimates. It also impacts on the lives of parents, siblings, grandparents and other caregivers. There is no known cure but there is a widely acknowledged, evidence based treatment available, Applied Behavioural Analysis, or ABA, which is supported by literally hundreds of studies, including recent studies, which document the effectiveness of ABA in improving the IQ, the linguistic skills and comprehension, the ability to function in the real world, of children with autism. 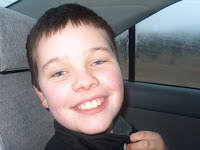 In my son’s case, even with the limited ABA therapy which was available in New Brunswick at the time because of a shortage of trained personnel, he has made tremendous gains. From a child who could only scream and tantrum he became a child who can communicate using words, who is reading, albeit at a level below his chronological age, and who in fact almost daily pulls out books on his own initiative to real aloud for his own enjoyment. This is the ABA which parents seek across Canada, the USA and the world for their autistic children. There are those who oppose ABA based on personal preferences, outdated and ill founded misconceptions about what ABA involves and quite simply on the basis of paranoid, conspiratorial beliefs that somehow they as human beings, as functioning adults, will be deprived of their personalities if someone else’s autistic children are taught fundamental living skills by use of ABA. They make stretched and tortured arguments about ABA turning children into robots. This is nonsense as they happy joyful pictures of my son which I will provide a link for in this letter can rebut with finality. They also make disingenuous attacks on the studies which have documented ABA based gains for autistic children ignoring the fact that literally hundreds of such studies exist all showing substantial gains. Critics also focus on costs of providing ABA ignoring the studies that have shown the huge financial savings to government in reduction of service provision over the lives of autistic persons who have benefited from ABA. I do not actually expect you to personally read this email Prime Minister. I hope though that a conscientious staffer or, through the marvel that is the internet, a family member or friend, will see fit to read this and implore you to take action on behalf of Canadians with autism. You can make a difference in the lives of 1 in 150 Canadians Prime Minister. You can make a difference in the lives of their loved ones and care givers and you can save Canadian governments enormous sums by reducing the level of services required as a result of early intensive ABA intervention. Please open your mind Prime Minister, open your heart, and do the right thing. I’m from NB and have a three year old daughter with Autism. I live in Ontario now, so the details of our struggle are different. But not very. I copied your open letter to my blog. No one reads it, but at least it has twice the opportunity now to be read and for your voice to be heard. Found your blog via ‘The Politics of Autism’ on Blogcritics. I don’t know what ABA entails, but you’re doing exactly what every parent should be doing for their autistic son or daughter. If it can teach Conor is how to work around and compensate for the negative aspects of autism whilst hopefully letting him make the positive aspects work for him, who the hell needs a cure? There’s no way around the fact that Conor will probably spend less time out in the fresh air than you’d like and be the last person in his class to get laid, but that’s hardly the most depressing thing you could be looking forward to.